RIP David Curry, Pardon Recipient. The St. Louis Post Dispatch has a fine piece on David Curry, a University of Chicago graduate and criminology professor at the University of Missouri-St. Louis who was pardoned, in November of 2000. 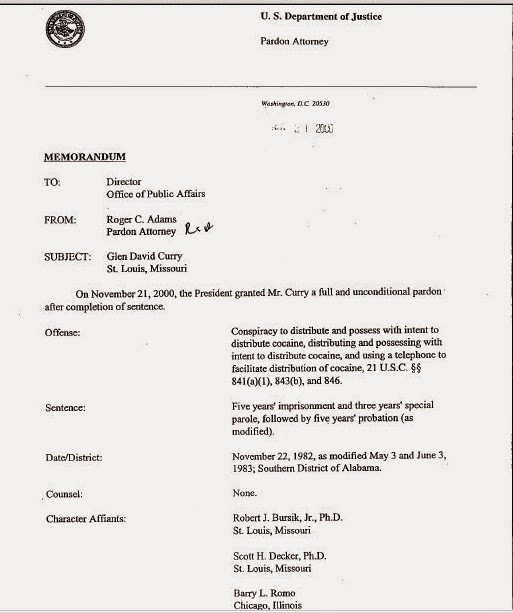 Curry's application went through the Department of Justice, the Office of the Pardon Attorney and White House in less than a year. 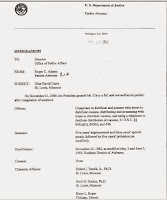 Later the sentence was modified and Curry was eventually released to the custody of a professor at the University of Chicago and offered a position as interim lecturer. But administrators balked at his prison record. So, in 1994, Curry was hired by the University of Missouri-St, Louis to teach statistics and math. See full story here.